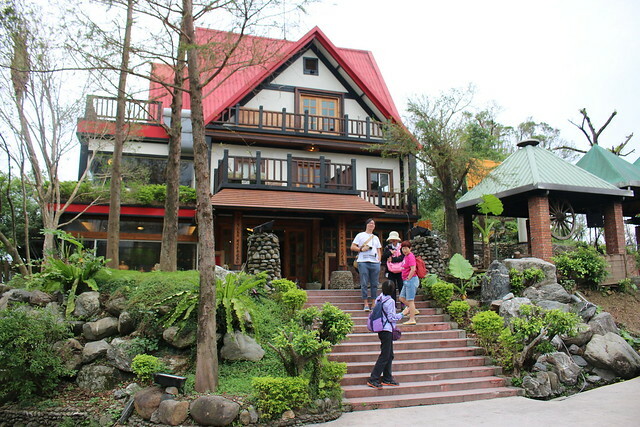 It is located at the foothills of the Dayuan Mountains, about 250m above sea level. 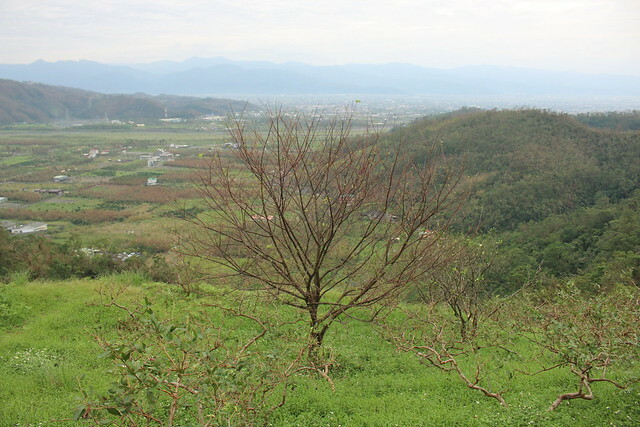 Take in the fresh air and enjoy the view over Sanxing Plains. 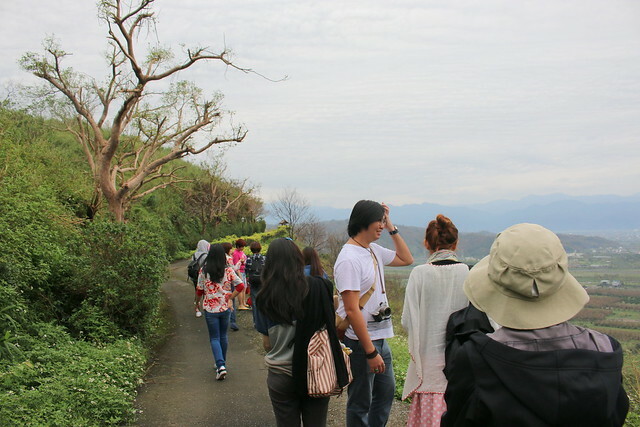 There are nature walks and outdoor trails you can take. The average temperature is 25 deg C, and when I was there it was a little cloudy, so it was about 22 deg C - you know, perfect outdoor aircon weather. I really loved the cool weather. 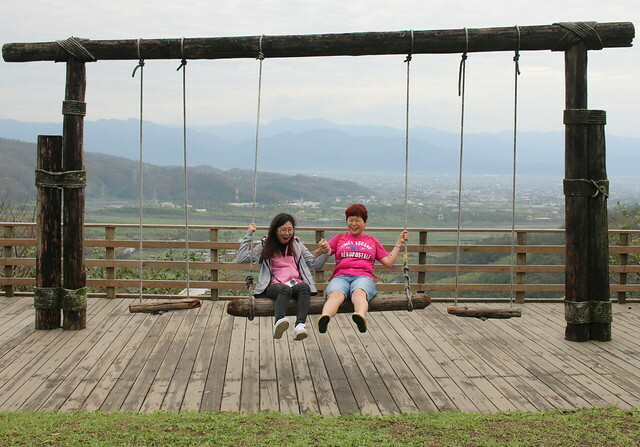 Along the nature trail are little places to rest and stop, and even swings made from local wood. We had such fun here. 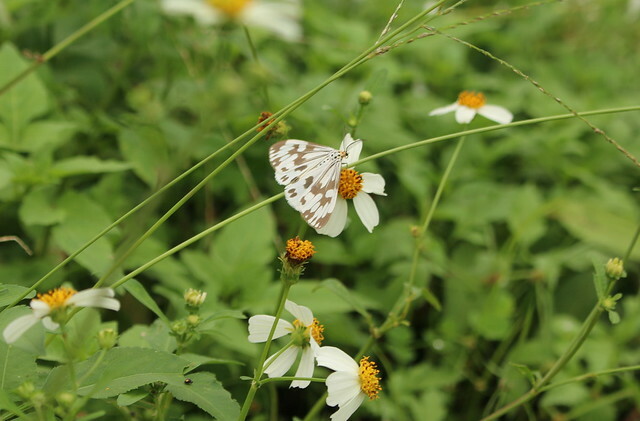 The farm is home to a variety of animals like monkeys, tree frogs, fireflies and herbivorous butterflies (Papilio) that feed on citrus fruits. You can also learn about seasonal fruits and vegetables. 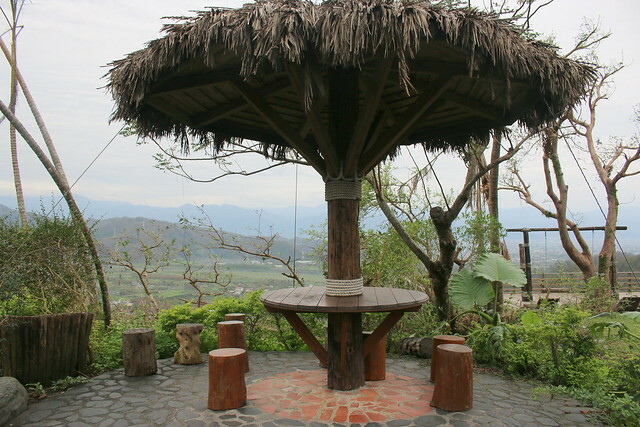 Fruit picking is a highlight here, and there are guided eco-tours you can take. 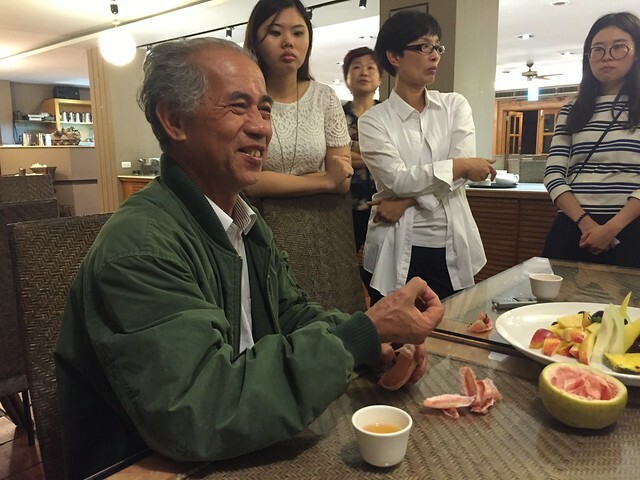 This is Chang Ping, the second generation owner of the resort. I hear he would have become a PhD in a science background, but came back to help his dad manage the resort. The senior Chang will regale you with stories of his past and how he rose from impoverished farm life to transforming the farm into a resort. He grounded himself on key principles that focused on making farming viable, and preserving culture and the environment. Stay awhile and listen. 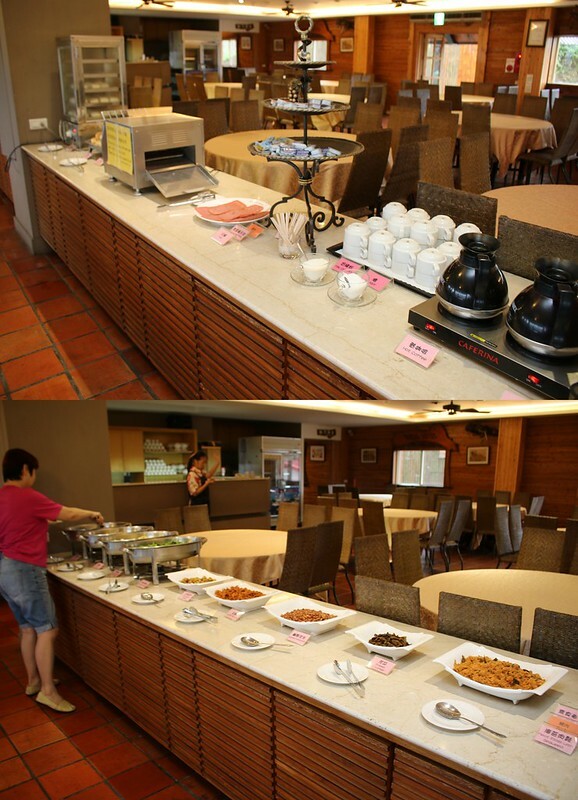 Foodwise, you are in for a treat with Yilan's rich local produce (some of which is organic). There's a fishing port nearby, so the sea's bounty is fresh and plentiful. Their pumpkin is amazingly sweet and moreish. And we all loved the lightly curried squid. 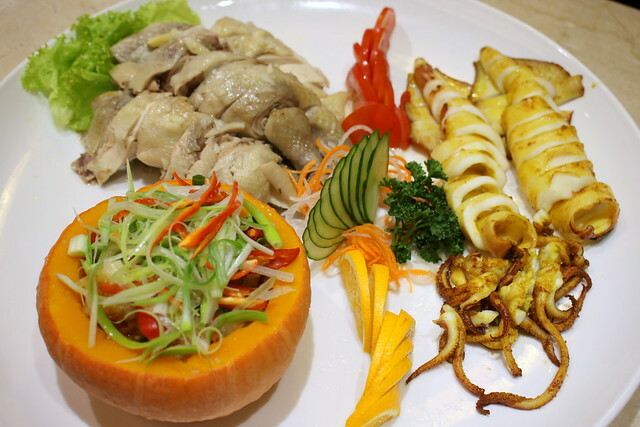 The steamed chicken seems to be a regular item in lots of Taiwanese eateries. 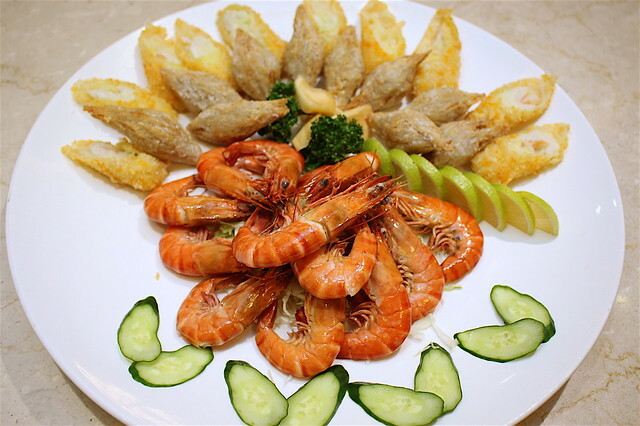 Prawns and fried yam rolls. I liked this soup. 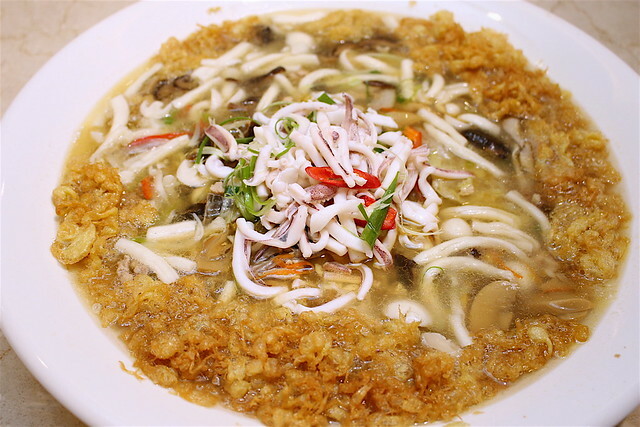 Traditionally it was made with leftovers - a poor farmer's dish that ensured nothing was wasted. Today they make it with fresh cabbage, lots of eggs, seafood and mushrooms. There isn't a fixed recipe; every family made it differently. 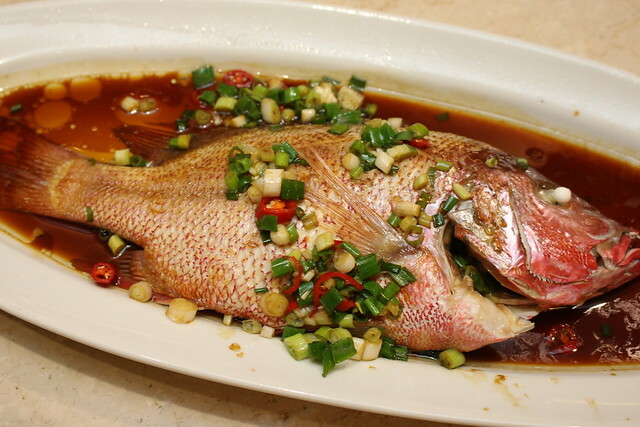 A whole steamed fish in soy with garlic and scallions. 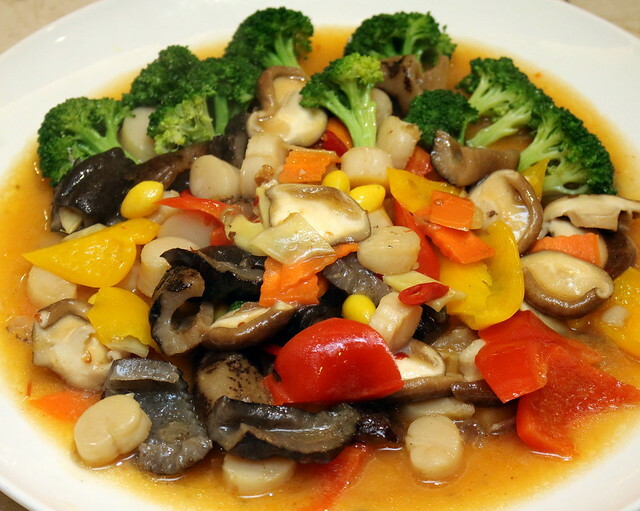 Vegetables with sea cucumber, scallops and ginkgo nuts. 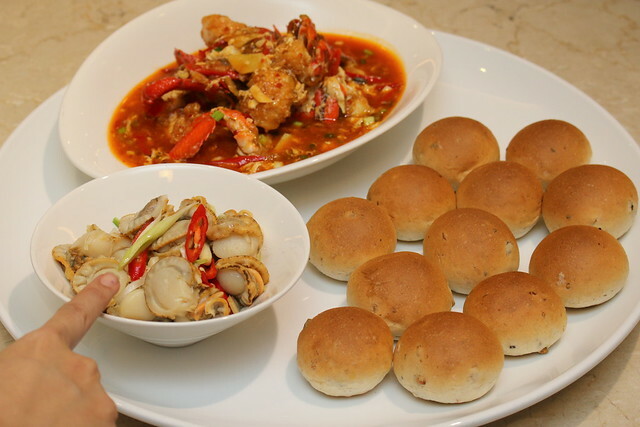 An interesting take on "chili crab" - it isn't spicy but has a savoury "taucheo" (beanpaste) base. This is so good with the Taiwanese short grain rice, even though olive buns were served. 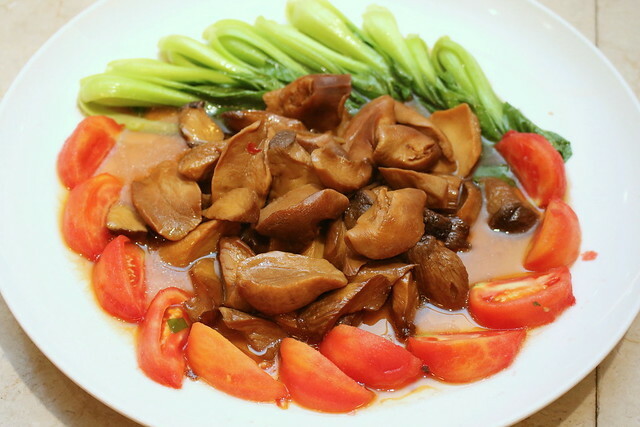 More abalone, this time stewed with vegetables. 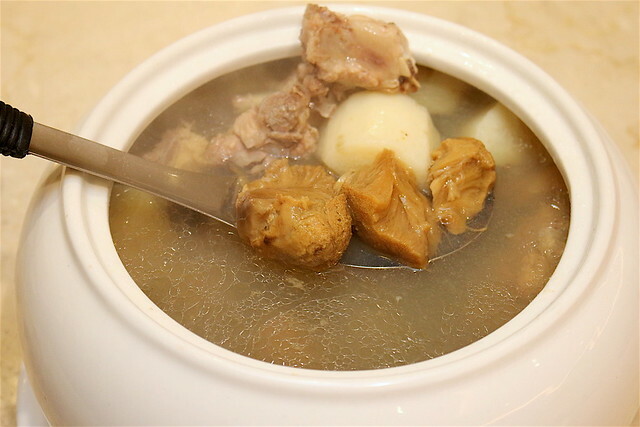 Meat rib soup with monkey head mushrooms and mountain yam. 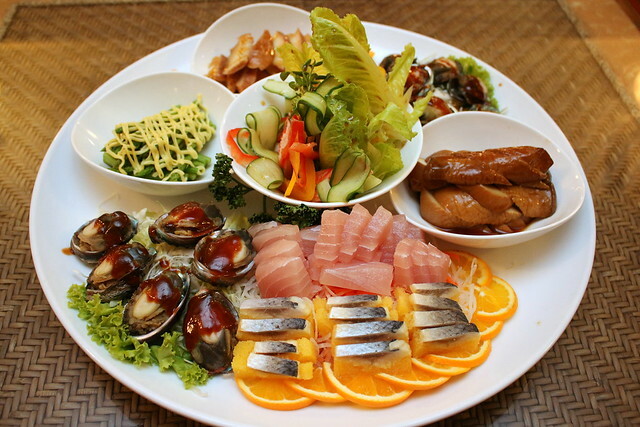 The amazing thing is - this amped up deluxe menu is still only about S$28 per pax! Food here is very affordable because it's all local produce and there are no crazy city rentals to jack prices up. 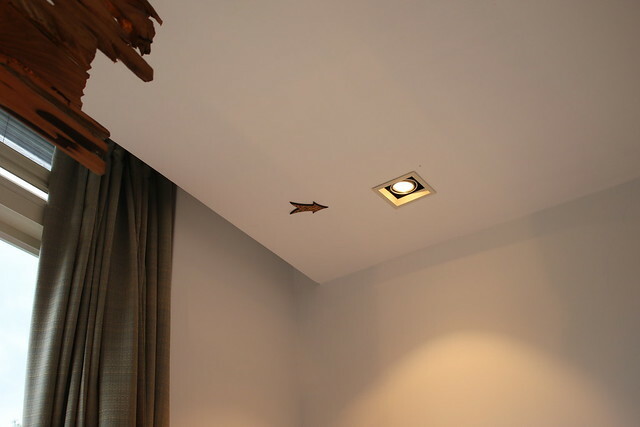 The rooms in the newly built wing are gorgeous. 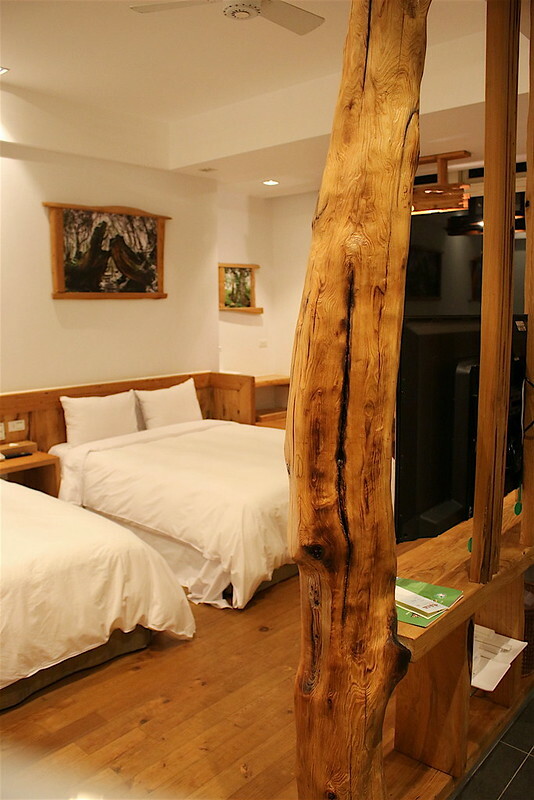 The decor is anchored by red cypress, a symbol of immortality, and the wood gives the room a beautiful fresh scent. 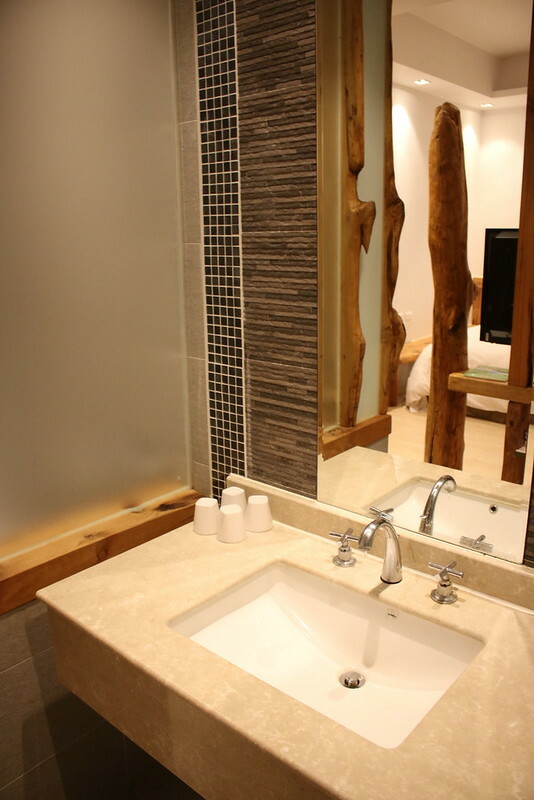 There's an open concept bath area, with separate toilet and bathroom. 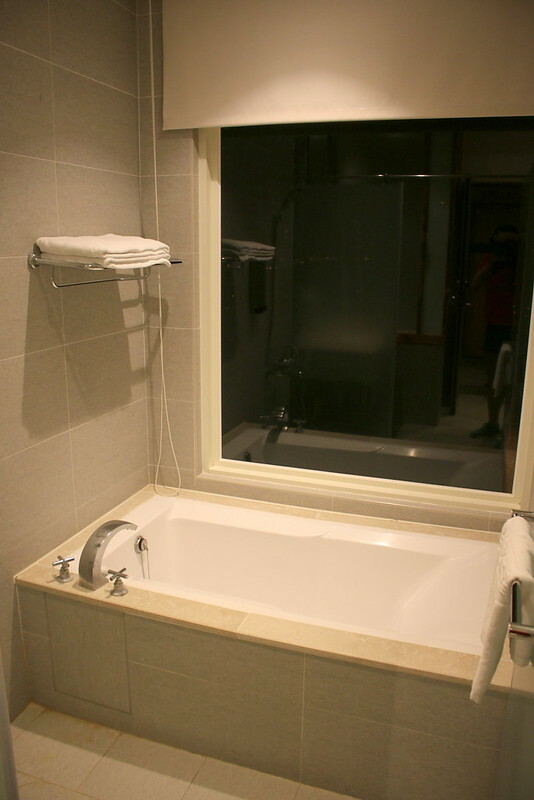 The bath is modern and onsen-like. 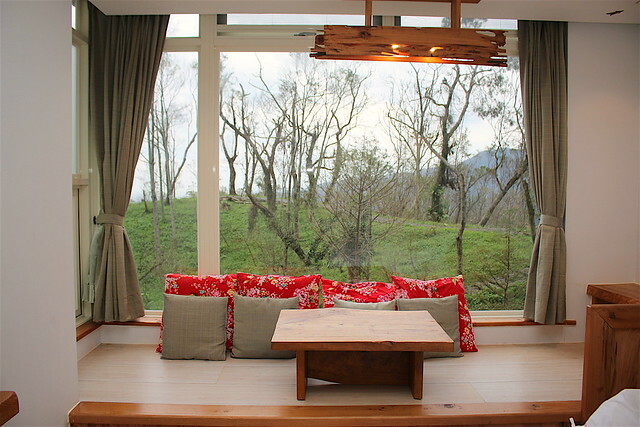 The prettiest part is the platform area near the window. It's great for enjoying tea. They've even got a little sink and tap next to the wall that makes this convenient. This is a Muslim-friendly resort, by the way. The rooms have the requisite guide arrow pointing to Mecca. Prayer rugs and washing rite devices are also available. 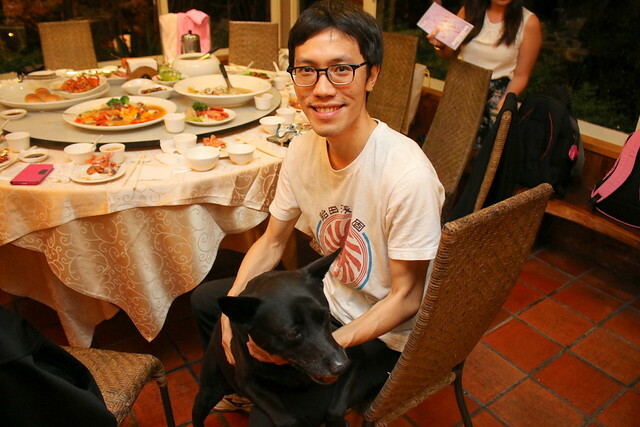 They are one of the first F&B operators in Taiwan to be halal-certified (probably a separate kitchen, as they did serve pork at the main restaurant when we arrived). 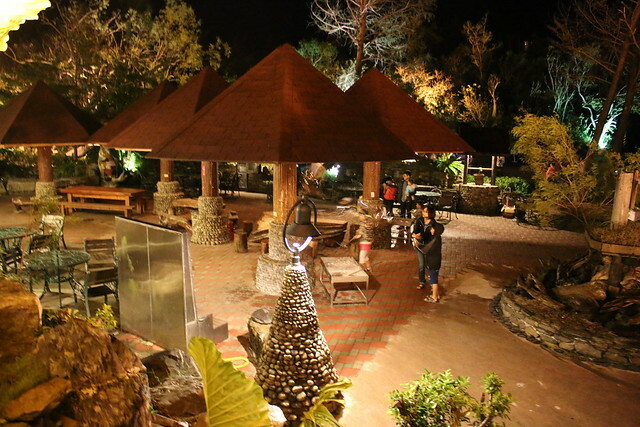 In the evenings, they have special activities planned for guests. 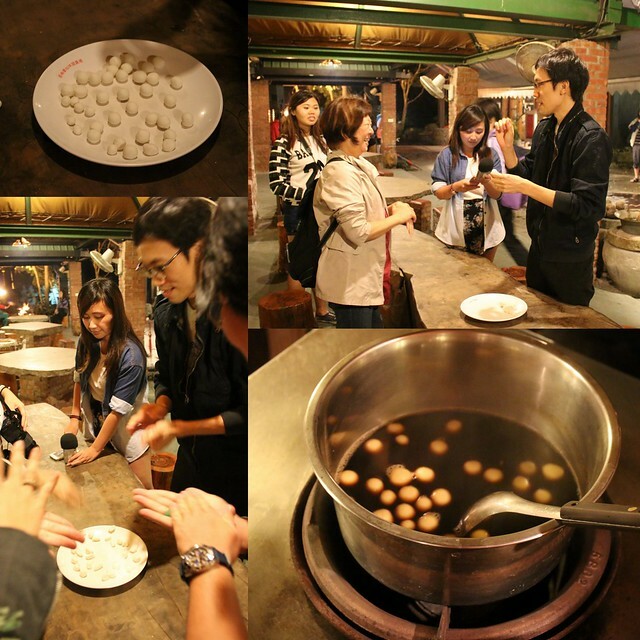 There are several DIY workshops like making tangyuan (glutinous rice ball soup). I'd never tried this before, so I was surprised how the rolling action transforms the flour balls from rigid to soft and bouncy. Best of all, you get to eat what you make. Yum! 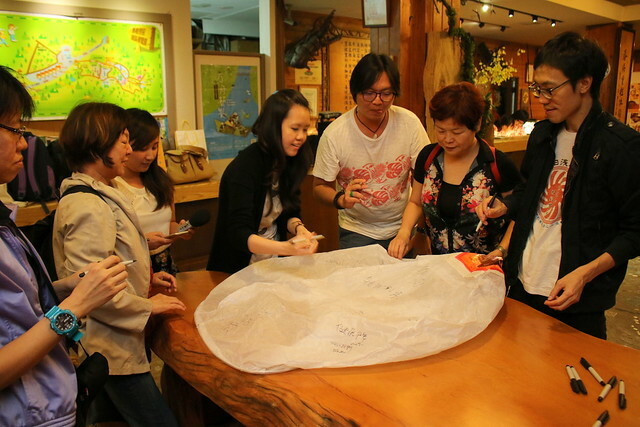 We also lit sky lanterns that had our wishes written upon it. Our lantern floated up to the sky but we didn't aim properly, so it got stuck on a tall tree! Breakfast the next day is at the same restaurant. 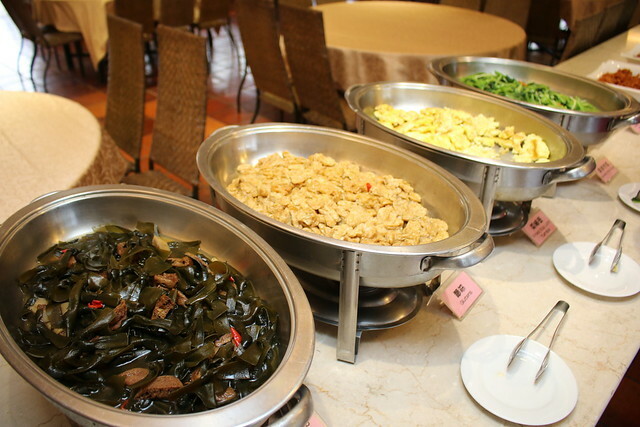 It's a good spread with the usual Taiwanese favourites - sweet potato porridge, braised gluten, seaweed, chyepoh (pickled turnip) omelette, meat floss, stir-fried greens, pickles and peanuts. There's also a small selection of salad, ham and toast for those who prefer a Western breakfast. Don't miss the fresh soymilk. 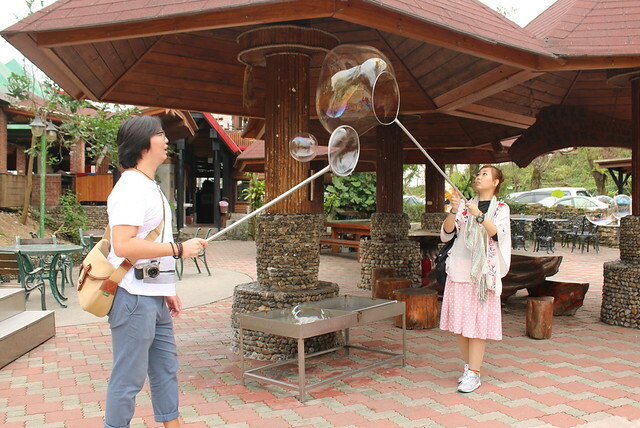 Adults and kids alike will adore making monster bubbles. It's so breezy here, you don't even have to swing the giant wand much. Bubbles just form when you lift it up. 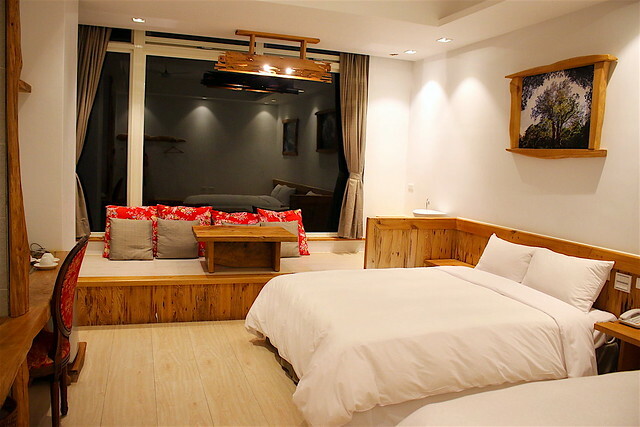 On the whole, this is a pleasant retreat for families and couples. I know some of my friends have been here and enjoyed this place. 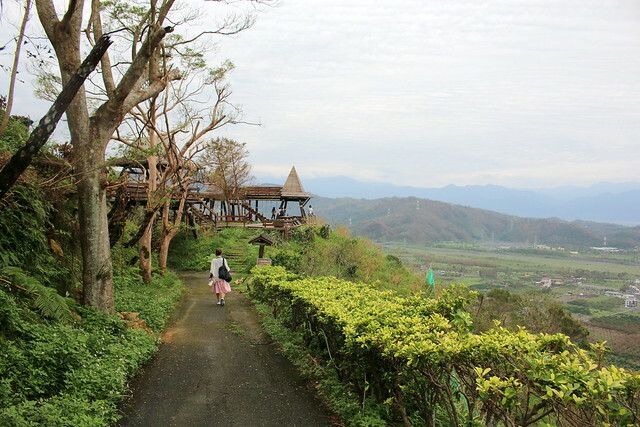 Many of these farmstays in the countryside are not so easy to reach. CTC Travel offers land packages that include the most essential transfers from main train stations. If you'd like more suggestions on where to go in Taipei, I highly recommend taking a look at Iwander's three-day itinerary.